Martinsried bei München, August 2, 2018: GNA Biosolutions was named the winner of the American Association of Clinical Chemistry's (AACC) Disruptive Technology Award competition, held on Monday evening at the 70th AACC Annual Scientific Meeting & Clinical Lab Expo in Chicago, Illinois. The AACC Disruptive Technology Award recognizes innovative testing solutions that improve patient care through diagnostic performance or access to high-quality testing. GNA Biosolutions, a Munich based company in the Innovation- and Start-up Center for Biotechnology (IZB) also won the audience choice award. GNA presented data from the company's proprietary Pulse Controlled Amplification (PCA) technology, which allows for ultrafast (15 minutes or less), sample-to-result workflows even on challenging clinical matrices such as whole blood. After launching a first PCA instrument (Pharos V8) at the end of 2017, GNA now plans to launch a portable and low-cost sample-to-result platform for infectious disease molecular testing at the Point of Care. The planned assay pipeline for GNA's CLIA-waivable POC platform focuses on antimicrobial-resistant pathogens that are highly relevant causes of hospital acquired infections, as well as multi-drug resistant tuberculosis (MDR-TB), an emerging challenge and risk for global health. 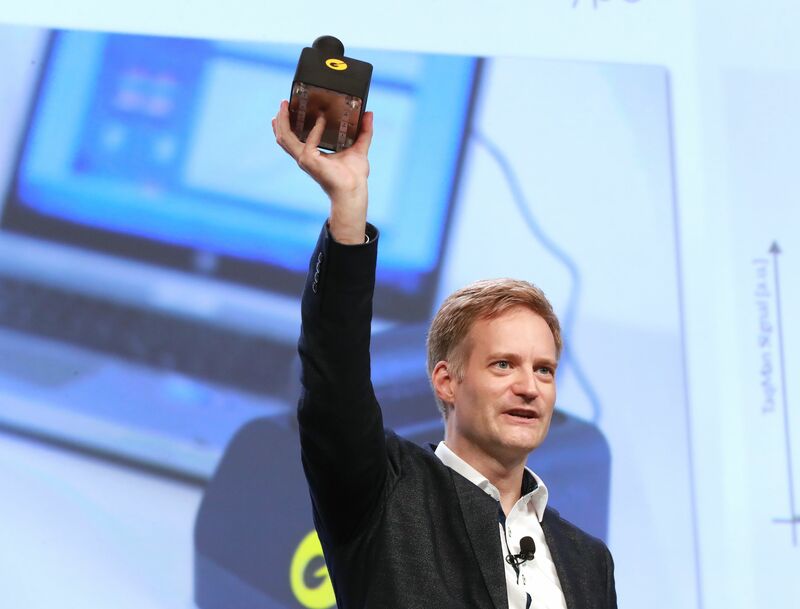 "We are honored to receive the Disruptive Technology Award from the AACC" said GNA Biosolutions co-founder and Managing Director Lars Ullerich. "Being recognized for our PCA technology is a proud moment for our whole team and we look forward to delivering it to the Point of Care."